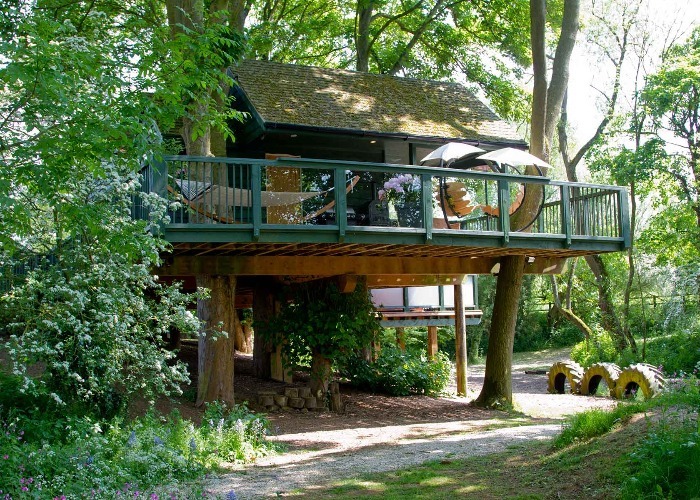 loveEXPLORING has teamed up with Host Unusual to offer one lucky reader and their guests a three-night break in a fairy-tale tree house in the Cotswolds. If you've ever fancied living the high life this is the competition for you. We've teamed up with Host Unusual – specialists in unusual places to stay around the world – to offer one lucky reader and their guests a three-night stay at Will's Tree House in the Cotswolds. Situated in an Area of Outstanding Natural Beauty in Warwickshire, Will's Tree House is an architect-designed retreat that sleeps up to four. Inside you can expect a cosy stay whatever the weather thanks to the king sized-bed, two single bunk beds, private bathroom and underfloor heating. Plus outside there's a four-person hot tub with robes provided, sun-loungers and a hammock. 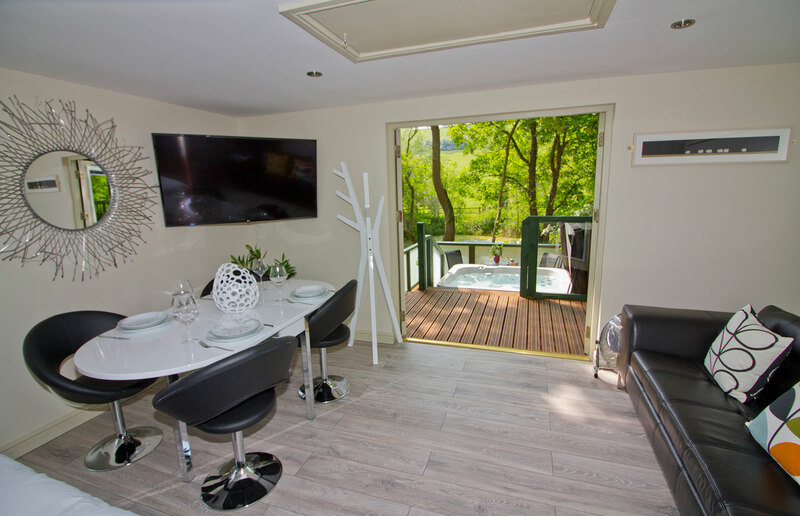 And while this gorgeous holiday home is set in quiet woodland you won't need to scrimp on any mod-cons with a DVD player, 55-inch Smart TV, charcoal pizza oven and a gas barbecue to hand. Nearby facilities include the village of Tysoe itself which offers a shop and Post Office, while the nearest supermarket is five miles away in Shipston-on-Stour. Stratford-upon-Avon is also a short drive away. 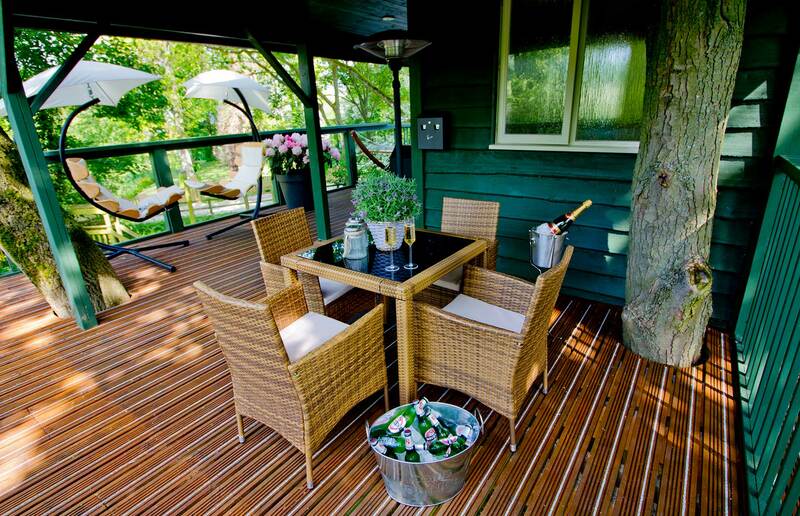 Our winner will be entitled to a three-night stay at Will's Tree House in Upper Tysoe, Warwickshire. They'll even receive a champagne welcome pack. The prize can be claimed midweek (Sunday to Thursday) and must be taken before 21 December 2019. Dates are subject to availability. Host Unusual is an eclectic accommodation showcase established in June 2016, creatively bringing under one roof for the first time some of the most extraordinary holiday lets to be found in the UK and around the globe, as a much needed antidote to the ordinary. They're dedicated to scouring the globe to cherry-pick the most exciting hidden gems on the map. Whether it's a fairy-tale tree house deep within a forest, a time-warp vintage pad, a floating home on a lazy river or an eco-retreat far from the city lights, they've made it their mission to discover it. Their inspiring approach of clearly categorising unique accommodation types, coupled with a true passion for holidaying ‘out of the ordinary' allows them to offer some of the most unusual overnight stays you'll find in the world. For your chance to win, fill out the form below. Competition closes at 23.59 GMT on 03 March 2019. This prize draw is open to residents of the United Kingdom, aged 18 years or over, with the exception of employees of the Promoter, their families, agents and anyone else connected with this promotion. Entries must be received by 23.59 GMT on 03 March 2019. The Promoter accepts no responsibility for any entries that are incomplete, illegible, corrupted or fail to reach the Promoter by the relevant closing date for any reason. Proof of posting or sending is not proof of receipt. Automatically generated entries or entries via agents or third parties are invalid and shall not be considered. Entries become the property of the Promoter. To enter fill out the form on this page. All correctly completed entries will be entered into a prize draw, which will take place by 08 March 2019. The first entry drawn will be the winner. The prize includes a three-night stay at Will’s Tree House with champagne welcome pack on arrival which can be taken midweek from Sunday to Thursday anytime except July and August. This prize must be taken before 21 December 2019 and the dates are subject to availability. Airport transfers/visas/incidental costs/transport costs including petrol are not included. The winner must claim their prize within 30 days of being notified by the Promoter and the prize must be taken within one year and booked at least two months prior to travel. The prize is non-transferable and non-refundable. No cash alternative is available. Other than as specified, the Promoter shall not be liable for any costs or expenses arising out of or in any way connected with this prize and does not accept any responsibility for any damage, loss or disappointment suffered by the winner as a result of accepting this prize. The winner will be notified via email by 08 March 2019. The winner must claim their prize within 30 days of being notified by the Promoter and must respond to the notification email with their postal address, email, and telephone phone number. If the prize is unclaimed after this time, it will lapse and the Promoter reserves the right to offer the unclaimed prize to a substitute winner selected in accordance with these rules. The Promoter will use any data submitted by entrants only for the purposes of running the prize draw, unless otherwise stated in the entry form. By entering this prize draw, all entrants consent to the use of their personal data by the Promoter for the purposes of the administration of this prize draw and any other purposes to which the entrant has consented. By entering this prize draw each entrant confirms that his/her entry is their wholly-owned creation and to the extent that such entry makes use of any third-party materials that these have been fully cleared unless they are no longer protected by copyright or other intellectual property rights. Entrants will keep the Promoter harmless from any claims in relation to their entry that the entry infringes the personal or proprietary right of any other person. By submitting an entry, each entrant grants to the Promoter and Host Unusual, a perpetual, royalty-free, non-exclusive licence use, broadcast, publish and otherwise use the entrant’s name and statements regarding this prize draw for advertising, promotional and/or any other purpose in any and all media now or hereafter devised worldwide in perpetuity without additional compensation, notification or permission, unless prohibited by law. The Promoter is Love Incorporated, 36 Featherstone Street, London, EC1Y 8AE.